I have used Savarez strings on concert guitars since the 1970’s. They hold pitch quicker than many other brands, give a clear bright tone, and are easier to play than the hard tension (yellow card). Especially pleased to be able to buy bass sets, since I never use the Savarez trebles that come with the red card strings. I have had good results with the Savarez Alliance trebles, and Stringsbymail makes it easy to mix and match. 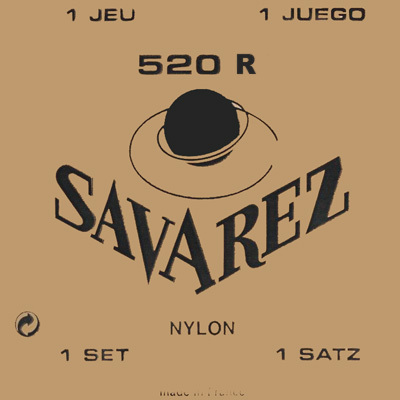 I've found Savarez strings to be very consistent in their tone and reliability in the 40+ years I've played them. Being able the purchase just the basses from you had been so convenient and a savings. I think that I still have trebles from 20 years ago because of all the full sets I bought😂. Thanks for the fast shipping. Nothing but praise for this site/company - very happy with the service. This bass set not only sound as good as any others, but by far outlast other bass sets.